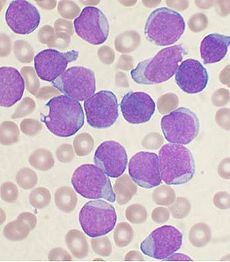 A recent study on patients that are suffering from leukemia has found ways of destroying the tumor in about 4 weeks. The study that was conducted by the Pennsylvania School of Medicine used the patient’s own cell to destroy the tumor in their body. The study was conducted by researchers on three patients who had their immune system cells removed before they underwent chemotherapy. The researchers removed the T-cells from the blood of the patient and infused lentivirus vector in their blood. The virus targeted the proteins that are found on the surface of leukemia cells. When lentivirus vector was infused in the blood of the patients, their cells acted as serial killers and attacked the tumor in the body. The new cells were put back in the body which continued to replicated and helped in creating “Memory T-cells” that would help in preventing the recurrence of the tumor. Within 3 weeks the new cells that were injected in the body killed most leukemia cells in the body. However, the effectiveness of the treatment may vary depending on the person. For instance, one of the patients who had undergone the treatment has seen a 70 percent reduction of their tumor whereas two patients saw complete disappearance of the disease. Some experts are of the view that even though the study was effective on 3 people, larger studies have to be conducted to determine the effectiveness of the study. When the study is conducted on a larger group, it will help in analyzing it the recent study is a promising lead or a lead that runs into a wall.